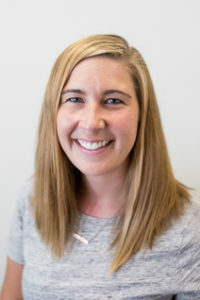 Kelly Settergren is a Speech Language Pathologist with Children’s Therapy Connection serving mainly Hamilton County. She has been a part of the CTC Team since 2018. Kelly received her Bachelor of Arts in Speech and Hearing Sciences and Psychology from Indiana University in 2011 and her Masters of Arts in Speech Language Pathology from University of North Carolina Greensboro in 2013. She is also a member of the American Speech Language and Hearing Association (ASHA) and licensed by the State of Indiana. Kelly spent the last 5 years in Phoenix Arizona where she worked in the public schools serving Pre-K thru 8th grade population as well as working in home health with children of all ages. She has experience working with children with receptive and expressive language delays, developmental delays, speech delays, articulation/phonological disorders and social language/pragmatic delays. Kelly lives in Noblesville with her husband and 2 dogs. She is an avid Colts football fan, loves hiking, being outdoors, traveling and is enjoying her return to the Hoosier State.